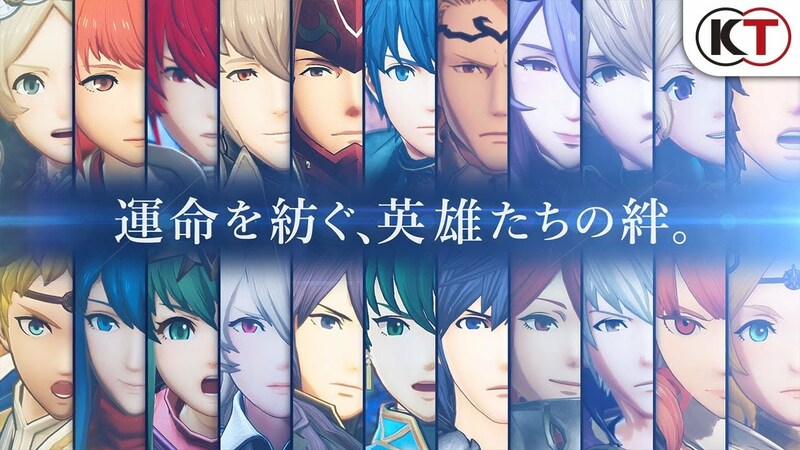 Update: Nintendo released an English version of the trailer. It’s essentially the same video, just with English text and no voice-over. 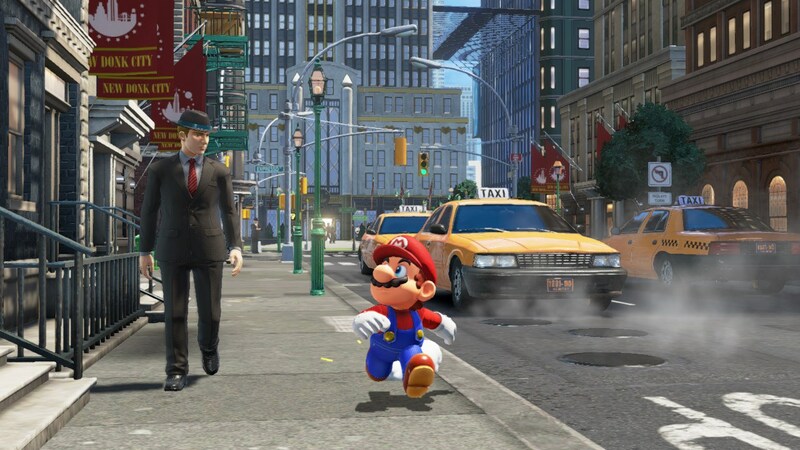 Original: Nintendo just released a new Japanese introduction trailer for Super Mario Odyssey. Watch it below. 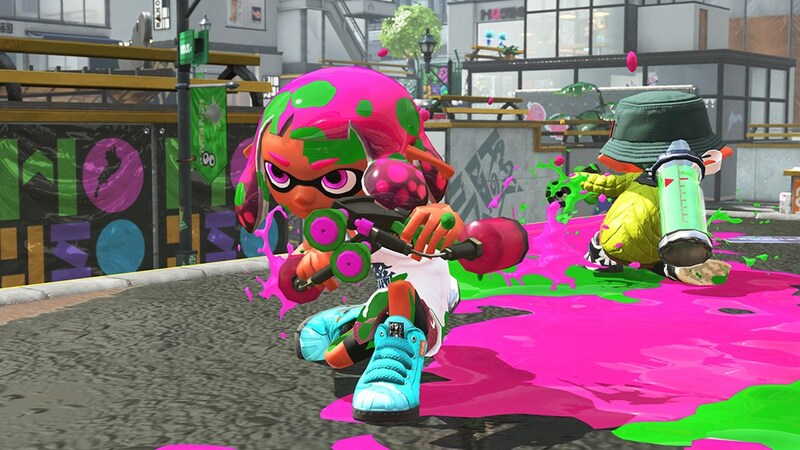 Another new weapon will be added to Splatoon 2 soon. 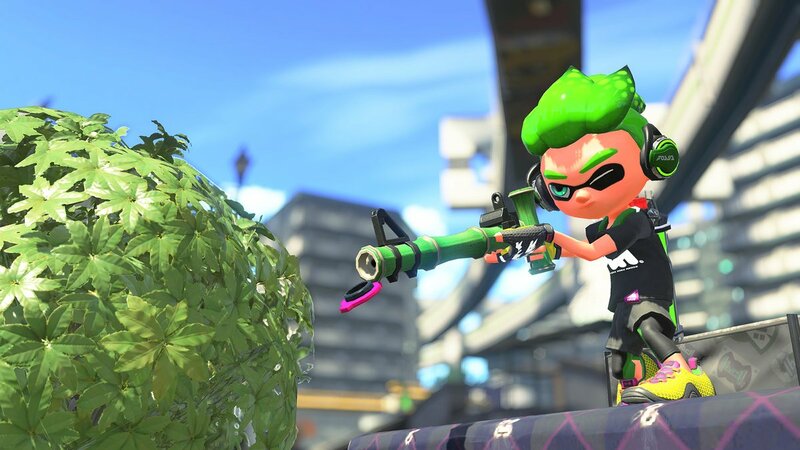 The Bamboozler 14 Mk I, a charger-type weapon with a fast charge rate but low damage, comes with the Curling Bomb sub-weapon and the Tenta Missiles special weapon. It’ll be available tomorrow at midday in Australia and Japan, early in the morning in Europe and late at night today in North America. 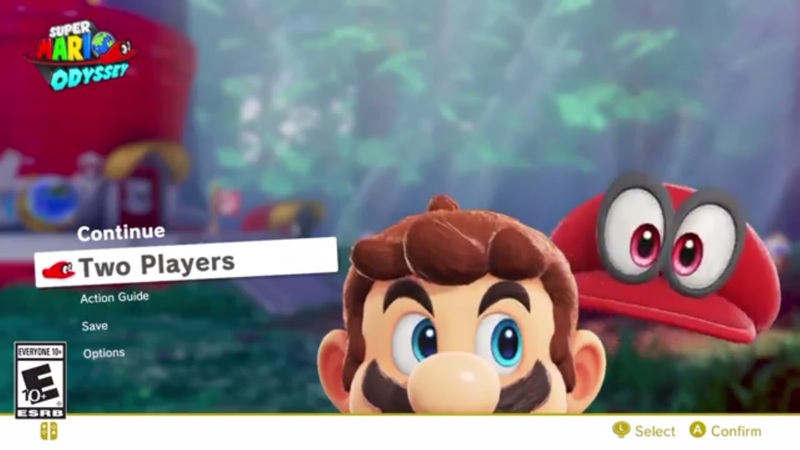 There have been a number of notable changes to Super Mario Odyssey since its official reveal, GameXplain has made a video comparing the most recent trailer with the first one. Check out the video down below. 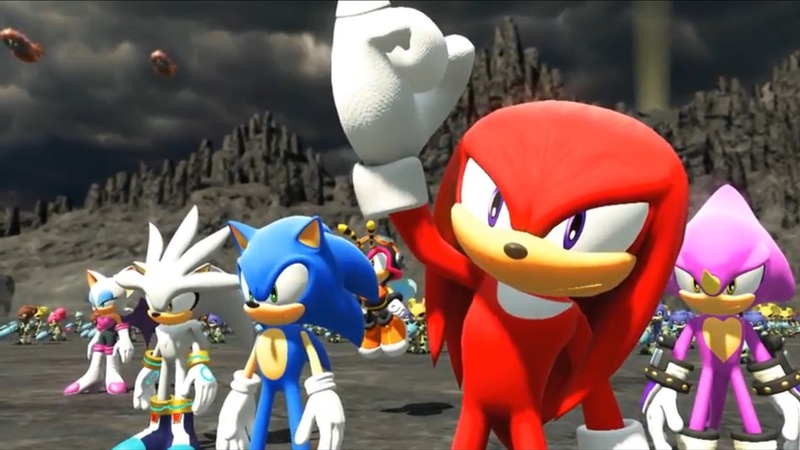 Game Informer spoke with Sonic Forces producer Shun Nakamura at the Tokyo Game Show last month. Nakamura talked about the big change of not regaining rings similiar to past titles, how long the game will be and why it’s priced at $40, and the darker tone. You can read up on Nakamura’s responses about these topics below. For the full interview, head on over here. Nicalis has clued fans in on what The End of Nigh will contain at launch. If you pick up a first-print copy at retail, you’ll receive a squishy silicone Ash toy. Also, per usual for Nicalis, a full-color instruction manual will be included. 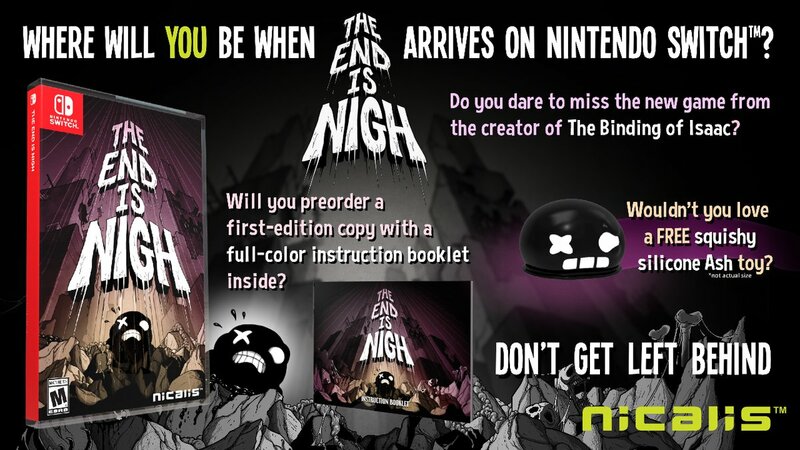 The End is Nigh is expected to release on Switch later this year. A specific date has not yet been confirmed. Project CARS 2 isn’t on Switch, and at least for now, that’s unlikely to change. 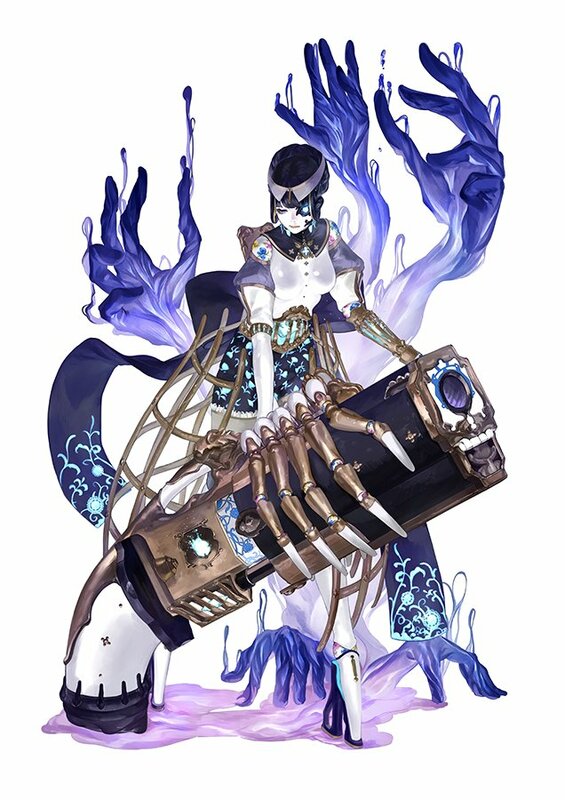 However, if fans are vocal, it may not be entirely impossible. In an interview with Fragments of Silicon, Bandai Namco community manager Cyrus Wesson was asked about a potential Switch port of some kind. 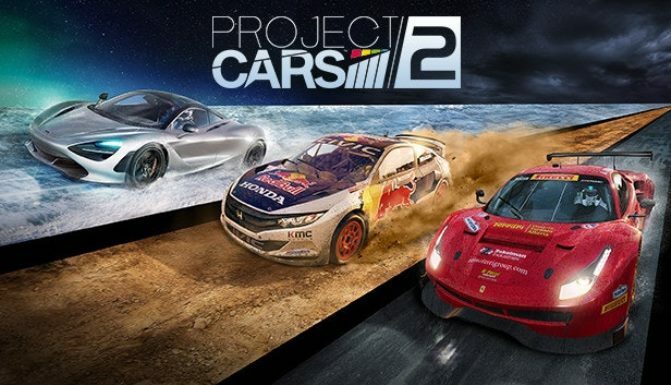 Wesson responded by saying that if fans are interested, they should make their voices be heard by sharing comments on Bandai Namco’s social media pages or on the Project CARS website. The development team is said to be “extremely, extremely receptive” to feedback. 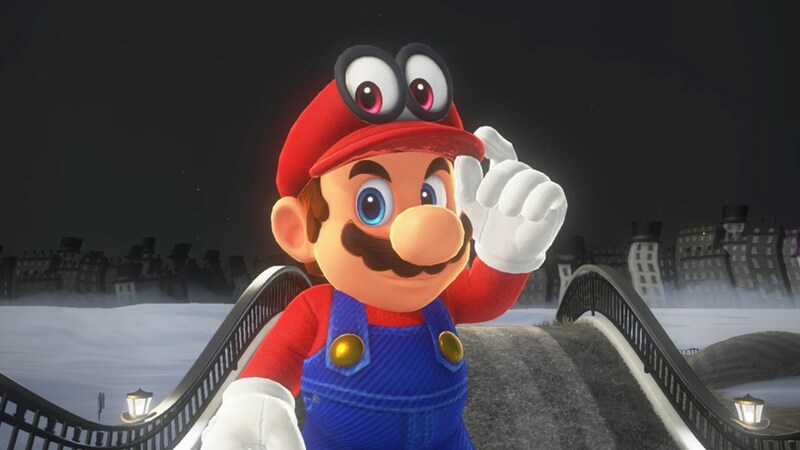 The full North American website has gone live for Super Mario Odyssey. You can access it right here. It contains the usual sort of information and media you’d expect to see, but there are a few other things we should highlight. First, the site has a few clips, all of which are rounded up in the video below. A lot of it is rehash, but there are some new snippets plus sound effects for previously-shown footage.